The director of Google's Self-Driving Cars Project revealed why it could take 30 years for the company's fleet to master the road. It took 1.4 million miles for Google’s self-driving cars to learn that people can be terrible drivers—even people operating the city bus. “We don’t like cars bumping into things,” Chris Urmson, Director of Google’s Self-Driving Project, told the audience during his SXSW panel on Friday. Back in February, one of Google’s cars got into an accident with a bus while trying to get back on the road from a right turn lane. The car estimated that there was not enough space for the bus to get through so assumed the bus driver was going to stop and let the car through. “The car made an assumption about what the bus driver was going to do, and the bus driver made an assumption about what the car was going to do, and the assumptions did not match,” Urmson continued. The self-driving car was going 2 mph and no one got hurt. According to Urmson, the accident did not bruise his confidence in Google’s self-driving project, but admits it was a “tough day” for the company. In January, Google commissioned a study that showed the company’s self-driving cars had a lower collision rate than the national rate. Google’s cars got in 3.2 accidents for every million miles driven, while the national rate for traditional vehicles is 4.2 accidents. On Tuesday, Urmson is set to testify in a Congressional hearing about safety protocol and road regulations involving autonomous cars. “We’re all in this together,” Urmson said at SXSW. 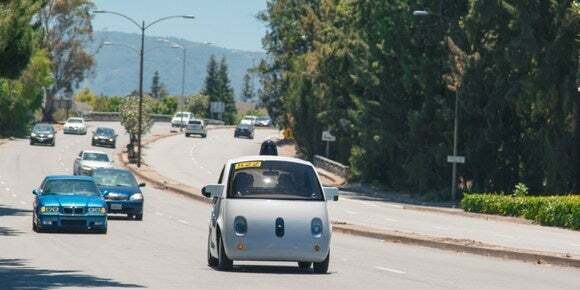 The director said that the pros of developing this technology (less traffic, fewer accidents overall, give blind people more mobility) outweighs the cons, and that he expects more serious accidents in the future as Google’s self-driving cars are tested in new, challenging situations. 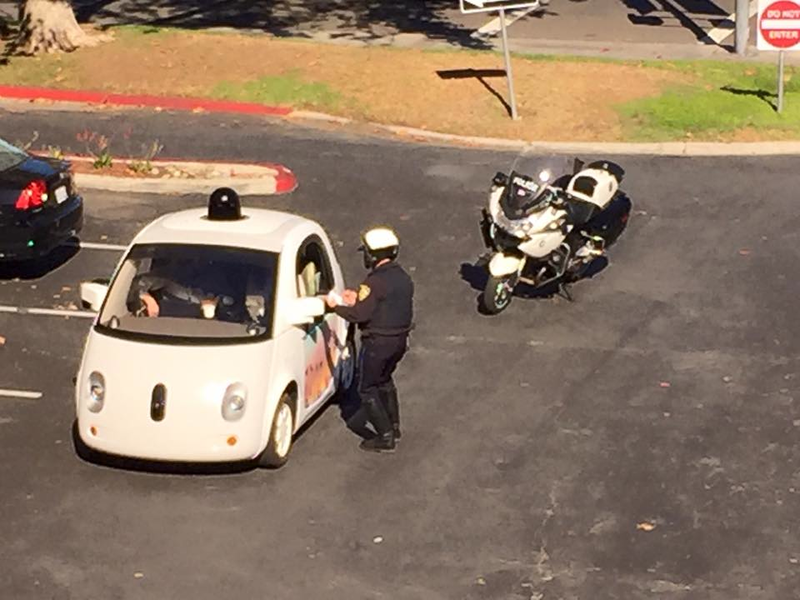 A Google car even got pulled over once. Since Google's Self-Driving Car Project started in 2009, Google’s cars have clocked 1.4 million miles on the road, and they are adding 10,000 miles of test driving every week. Each car is equipped with sensors, cameras, and lasers that instantly estimate 1.5 million measurements in every direction. The car then uses these measurements to assess the driving situation, generate a trajectory, and see if it needs to slow down and what it needs to slow down for. The cars make an informed prediction ten times per second. “There no page in the DMV manual [on how to handle these situations],” Urmson said. Self-driving cars need to understand it’s an unusual situation and react accordingly to an infinite number of wacky and erratic scenarios. That’s why it remains inconclusive when self-driving cars will actually be ready to hit the road on their own. “The more people working on it, the more likely we’ll see it all over the world,” he said.